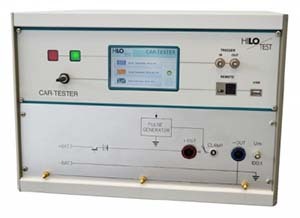 The multi-functional test simulators / generators from HILO-TEST are perfect basic equipment for each EMC test laboratory. These combination devices offer the most versatile and at the same time economical solution for full-compliant immunity tests. 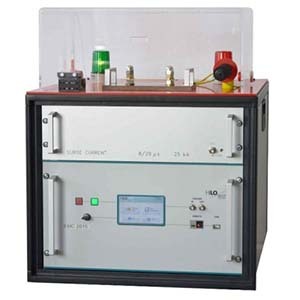 The CE-TESTER is a compact EMC test unit designed for testing electromagnetic immunity against pulsed and conducted interference. Demonstrating such immunity is generally a requirement for compliance with the European EMC directive, a necessary step leading to the CE mark. 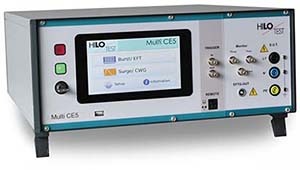 In its basic configuration, the CE-TESTER includes an Electrical Fast Transient Generator (EFTG), a Combination Wave Generator (CWG) and a Coupling-/Decoupling Network (CDN) for single-phase power supply lines. 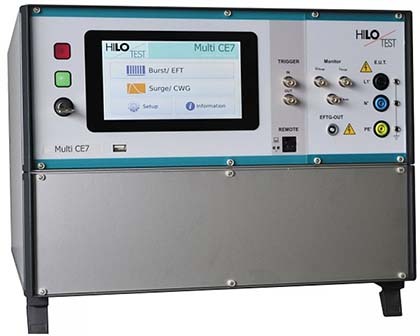 The Multi-CE7 is a compact EMC test unit designed for testing electromagnetic immunity against pulsed and conducted interference. Demonstrating such immunity is generally a requirement for compliance with the European EMC directive, a necessary step leading to the CE mark. In its basic configuration, the Multi-CE5 includes an Electrical Fast Transient Generator (EFTG), a Combination Wave Generator (CWG) and a Coupling-/Decoupling Network (CDN) for single-phase power supply lines. The Varistor Tester PG 6-250 is a compact test generator for testing the surge current capability of varistors. 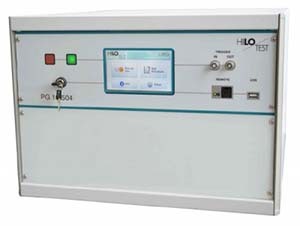 The unit contains a combination wave generator and a surge voltage generator according to CCITT, ITU-T. The high-voltage impulse generator PG 6-364 generates standard impulse voltages with waveforms 1.2/50 μs and 10/700 μs. Output voltage is adjustable between 0.2 kV and 6 kV. The polarity of the output voltage is selectable. Positive, negative or alternating polarity of the output voltage can be preselected. 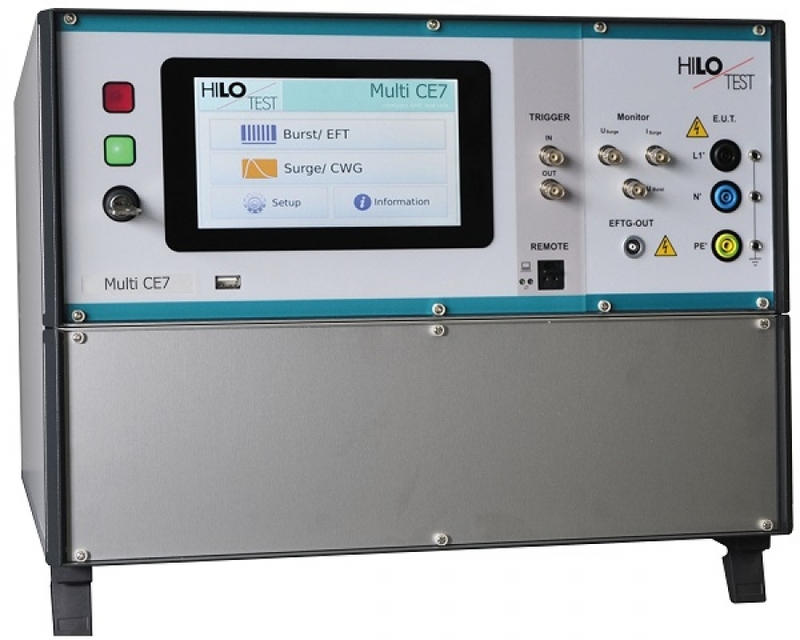 The generator is designed for dielectric testing of components and systems as well as testing of the electromagnetic compatibility of electronic systems and devices according to CCITT K17/K20/K22, ITU-T/K44, IEC 61000-4-5, VDE 0847. The impulse generator system EMC 2015 has been designed for dielectric testing of electric components, over-voltage protectors and electronic circuits according IEC, VDE etc. 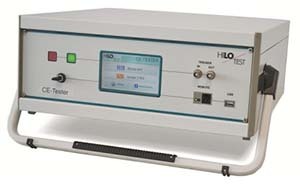 The basic version generates impulse currents with waveform 8/20 μs and a peak value up to 25 kA. In addition, various other plug-ins are also available.